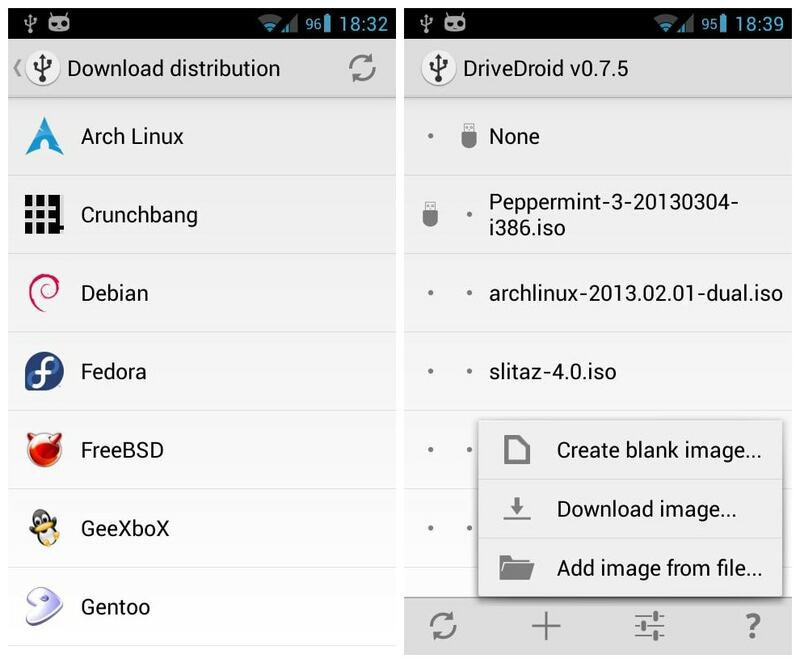 DriveDroid paid allows you to boot your PC from ISO/IMG files stored on your phone. DriveDroid is ideal for trying Linux distributions or always having a rescue-system on the go... without the need to burn different CDs or USB pendrives. DriveDroid also includes a convenient download menu where you can download USB-images of a number of operating systems from your phone (like Mint, Ubuntu, Fedora, OpenSUSE and Arch Linux). Around 35 different systems are available at this moment. You can also create blank USB-images which allows you to have a blank USB-drive. From your PC you can store files onto the USB-drive, but also use tools on your PC to write images to the drive. DriveDroid application uses features of the kernel that may or may not be available/stable on your phone. Tests have shown most phones work without problems. 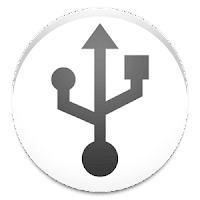 Most kernels support emulating USB drives, some support emulating CD-rom drives and kernels with the right patches support both.Most Linux-related ISOs can be booted from USB drives, but some ISOs can only be booted from CD-rom drives or require some kind of conversion.